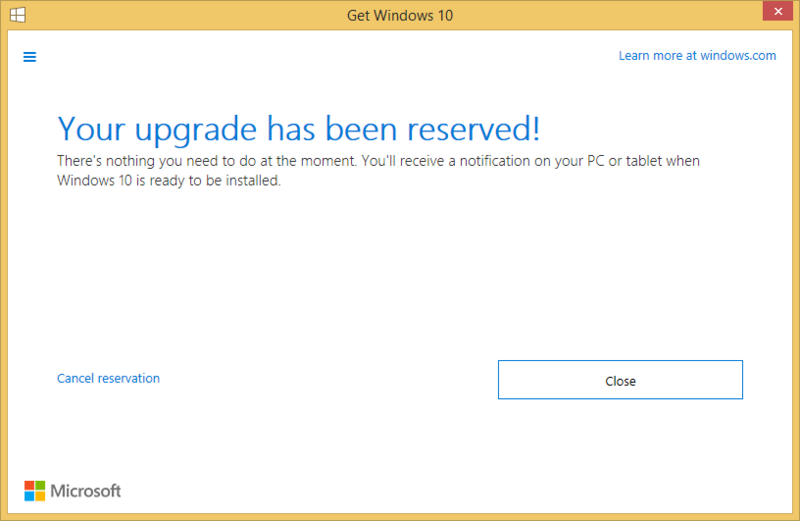 In a publicity drive, Microsoft is allowing Windows 7 and Windows 8.1 users to “reserve” the free upgrade to Windows 10 ahead of its official launch on July 29th, 2015. 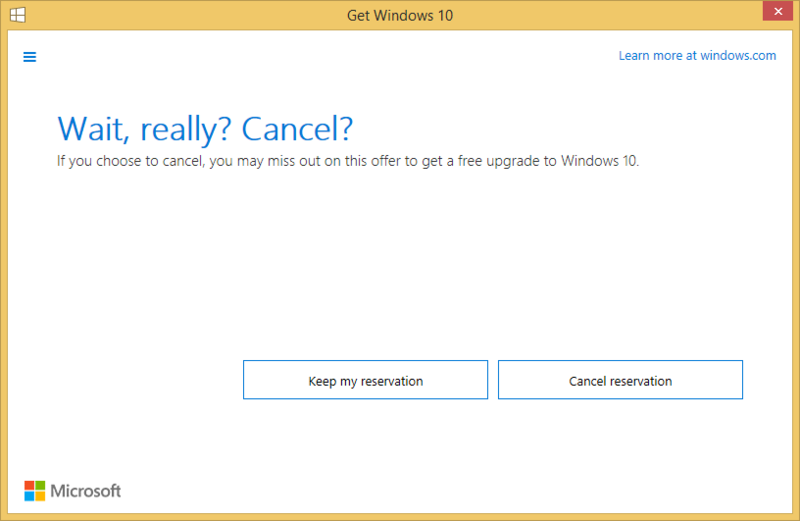 If you’ve done the Windows 10 upgrade reservation, but for some reason you want to cancel the reservation, the cancellation can be done easily. Right-click on Get Windows 10 app or the Windows icon located in the system tray (at the right end of the Taskbar). Select Check your upgrade status. In the Get Windows 10 app window, open the menu by clicking or tapping on the Hamburger (3 lines) icon at the top left corner. Click or tap the Cancel reservation link. Click or tap the Cancel reservation button to confirm. Once reservation is cancelled, you’ll be shown with “OK, reservation cancelled” message. Click Close to exit. 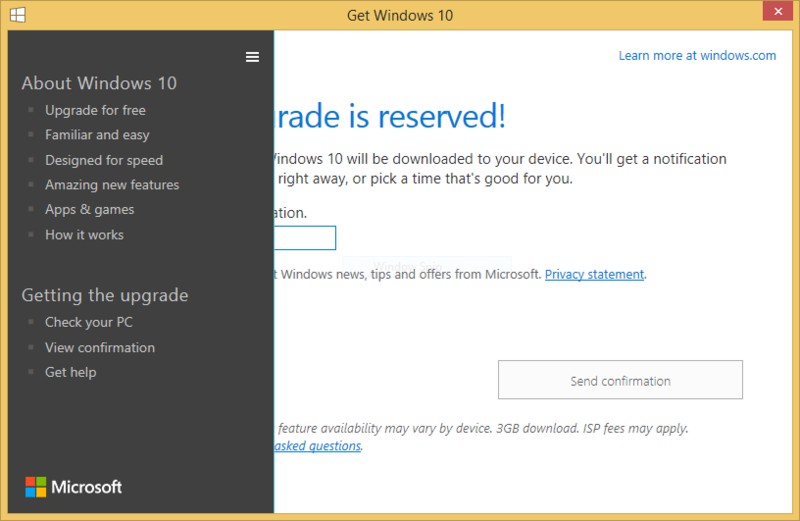 You can always re-reserve the Windows 10 Upgrade after cancellation. 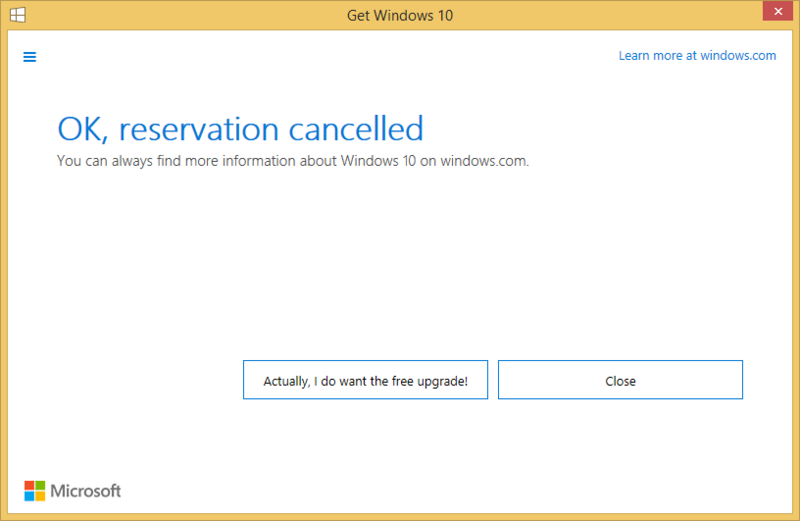 To do so, click or tap on Actually, I do want the free upgrade button, or re-open the Get Windows 10 app to do the reservation again.